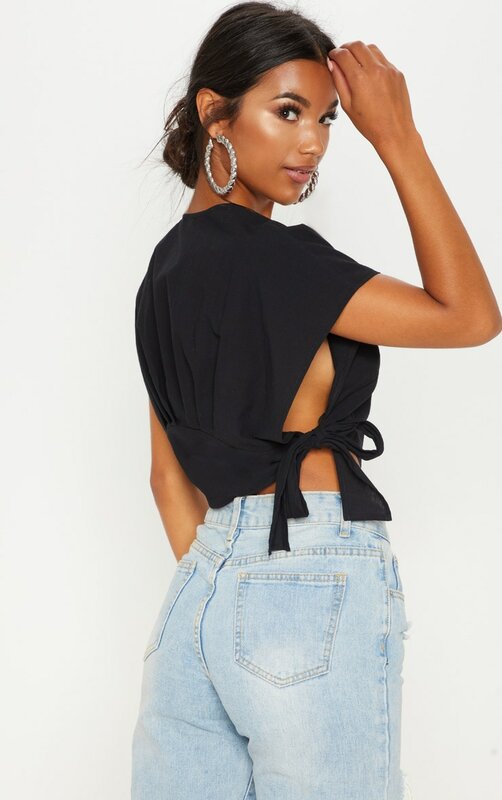 This cute blouse is perfect for a day to night look. 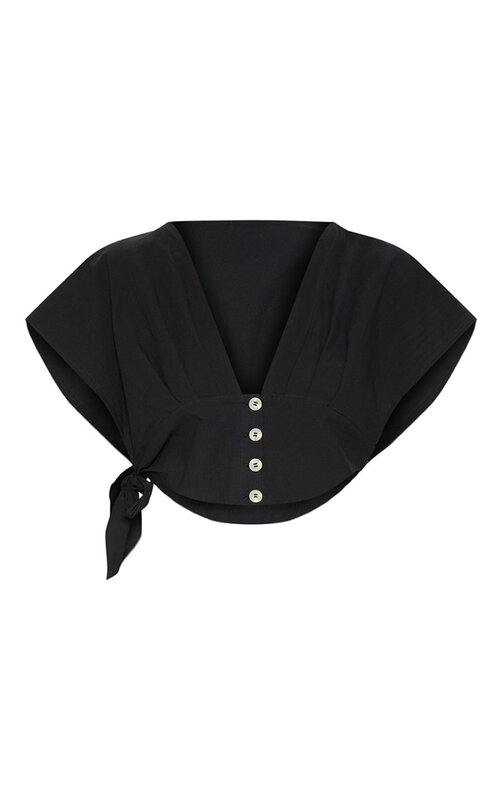 Featuring a black cotton material with a button detail and a tie side fastening. 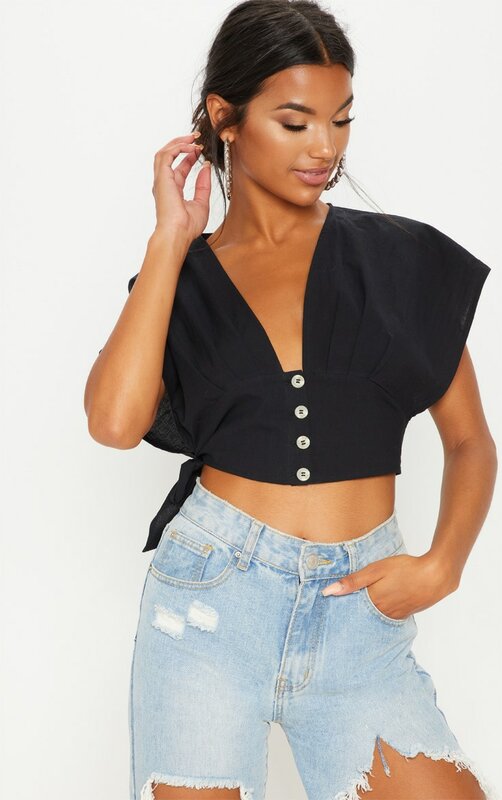 Style this crop top with a pair of jeans and heels, complete the look with a wicker bag and your biggest hoops.